Sonia Gandhi: Trails of Triumph traces the life of the political genius who pulled the sinking ship of the Congress out from the troubled waters and restored the party its glory. This book depicts her journey from the warm lanes of Italy to becoming the daughter-in-law of the first family of India (Nehru-Gandhi) and her emergence as a powerful figure in the Indian polity and one of the most influential persons on the Globe. Unlike the conventional biographies that take the shape of history, this book charts the metamorphosis of the shy Sonia into a charismatic leader of the United Progressive Alliance (UPA) coalition at the Centre. It is rather an evolution of the mind and the personality. The book takes stock of the various factors that led to the 'making' of Sonia Gandhi. It includes the young lady's fairy-tale marriage to the charismatic Rajiv Gandhi, her relationship with her in-laws; the tragedy which she had to bear in the tragic killing of Rajiv Gandhi, the party's subsequent search for a leader that ultimately made PV Narasimha Rao the Prime Minister and the various pulls and pressures of intra-party dynamics that orchestrated the crumbling of the Congress giant. 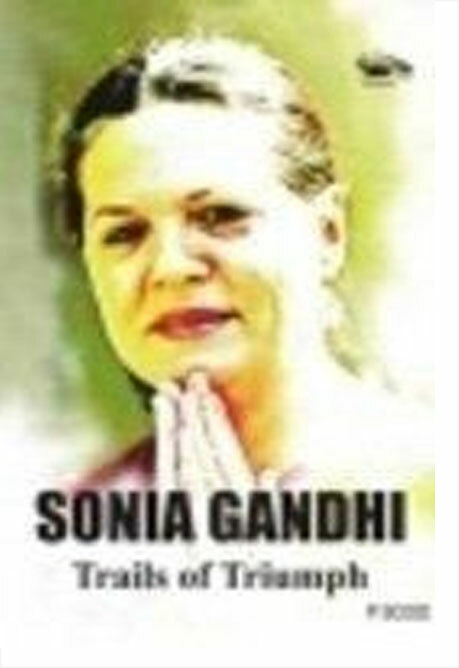 Much to her chagrin, the political and social milieu of India persuaded Sonia Gandhi to enter politics. The call of duty to keep the Congress strong and the country united prevailed over Sonia and she took the plunge. Her elaborate efforts to revive the battered Congress and bring it back to power and her humble 'no' to the post of the Prime Minister of India, when it was hers as a matter of right, has been well documented in the various chapters. The book also covers the initial exultation in the Congress office when Sonia took charge, her attempts to alter the party system according to her vision, the stinging defeat in 1999 elections and the gradual rise of Congress to political heights. The book is up-to-date and includes the leadership role played by Congress after the recent terror attacks in Mumbai, and the thumping win that Congress secured for itself in the recent Assembly Elections in six states including the most free and fair polls in Jammu and Kashmir. Professor Sood, the author, was fascinated by Rajiv's remark to her mother Indira Gandhi about Sonia, “I think this girl is special”. Sood has tried to bring to light all those facets of Sonia's personality and life that indeed make her special and true to her name, which in Russian means 'Wisdom'. Dr. P Sood holds a Master's degree (Gold Medalist) and a PhD in Public Administration and Political Science from Punjab University, Chandigarh. Currently, he teaches at the University of Delhi. He has also lectured at various universities. Dr Sood has over the years been responsible for numerous teaching innovations and has been conferred various honours including Outstanding Person of the 20th Century, Oxford, UK, the 20th Century Award for Achievement, IBC Cambridge, England, and is mentioned in the International Who's Who of Intellectuals, Cambridge. Dr Sood is widely travelled and has published four books on Indira Gandhi. His fifth book was on Rajiv Gandhi. His recent publication United Nations & The 21st Century was released by Sonia Gandhi at 10 Janpath in 2006. His books are an eloquent testimony to his commitment to Indira Gandhi's philosophy, and have established him as an author of great erudition. He has to his credit many research papers and articles published in various oriental and occidental journals. His writings have been commended for their versatile scholarship, crusading zeal and depth of conviction by the academic community in India and abroad. Dr Sood has the distinction of being appointed Fellow, International Centre for Asian Studies, Hong Kong, thus joining the galaxy of international academics.